The latest Amazon sale is live right now. It features some fantastic deals on some of T3's favourite items like Amazon Echo speakers and Amazon Fire TV Stick. This time of year can be a bit dry for discounts, but with this sale, Amazon is pushing hard to get its range of smart devices into more homes than ever before so now is a great time to save some money. The Amazon Echo Dot is usually an already-reasonable £49.99, but it can be had today for just £39.99 – exceptional value for the world's most popular smart speaker. 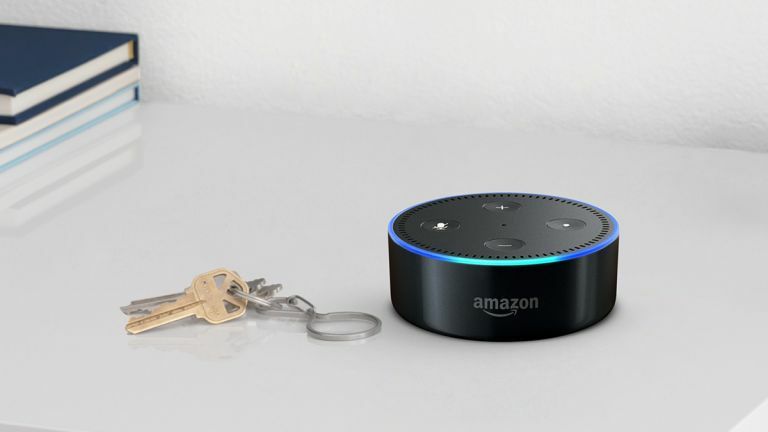 If you're planning on using a smart speaker to play music a lot, then we'd recommend taking a longer look at the larger Amazon Echo speaker as it's capable of producing a much louder sound than the Dot. And with £15 off today, this is the best price we've seen since the January sales. Usually £89.99, it's down to £74.99 in the Amazon sale this week. Our final pick of Amazon devices in the Amazon sale is the Amazon Fire TV Stick, which is down from £39.99 to just £29.99, offering an incredibly cheap way to turn any TV with an HDMI slot into a smart TV for streaming multiple film and TV apps. This newest version of the Fire TV Stick now comes with an Alexa-enabled voice remote for intuitive searches and commands across the best streaming apps like Amazon Prime, Netflix and the BBC iPlayer. There's plenty more deals to be had in the Amazon sale though, which runs from today until the 26th March. We've seen discounts on LG TVs, smart plugs, electric toothbrushes and even a £60 reduction on the R2-D2 Sphero droid. With so much to choose from, it's impossible to list everything, but you can always head on over and check out the full list of deals to see what takes your fancy.